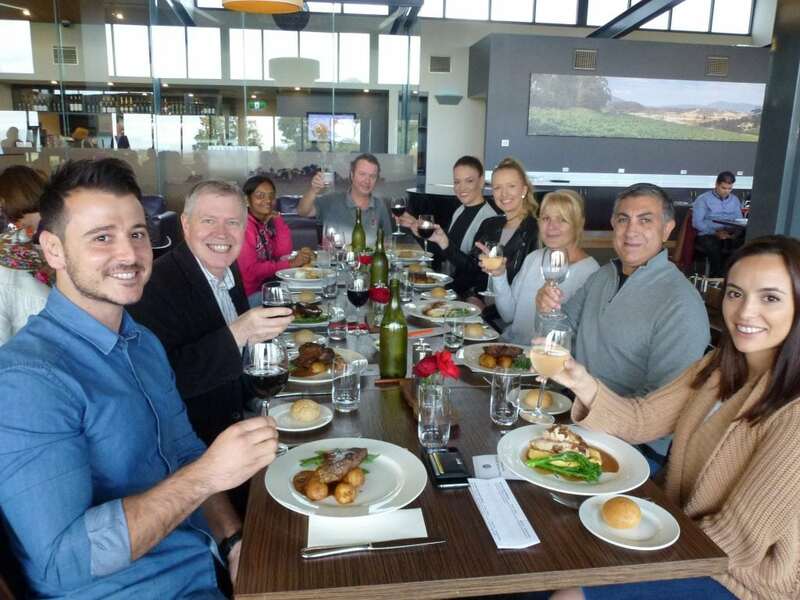 We were lucky enough to have a travel agent, Robert Ratcliffe, join us on one of our Yarra Valley wine tours recently. He was also kind enough to put together a lovely review for us, which we share below. Learn the art of wine appreciation and meet the largest distributor of apples. Introduce yourself to a sparkling Shiraz combined with a sumptuous lunch, leaving some time for more tasting experiences. Experience this rustic farm along with some excellent Pink Lady Cider. with a glass of your choice. It’s Friday, and today I join the Australian Wine Tour Company for a wine tasting experience in the Yarra Valley. Tony, our driver and guide, meets up with us at approximately 9:20 am just near the steps of St Paul’s Cathedral. The bus can take up to 24 passengers; however, today we have an intimate group of eight people. The tour caters to all age groups, and today’s group includes people from Adelaide and Sydney, as well as a few locals from Melbourne. Later, we meet up with some visitors from India who join us on the wine tour after they have experienced an early morning Yarra Valley balloon flight. As we make the journey from the city to our destination, Tony provides a précis of what the day holds for us. Surprisingly, we take a turn off onto Springvale Road towards Warrandyte. We are soon travelling through the Yarra Hills, experiencing some picturesque bushland. 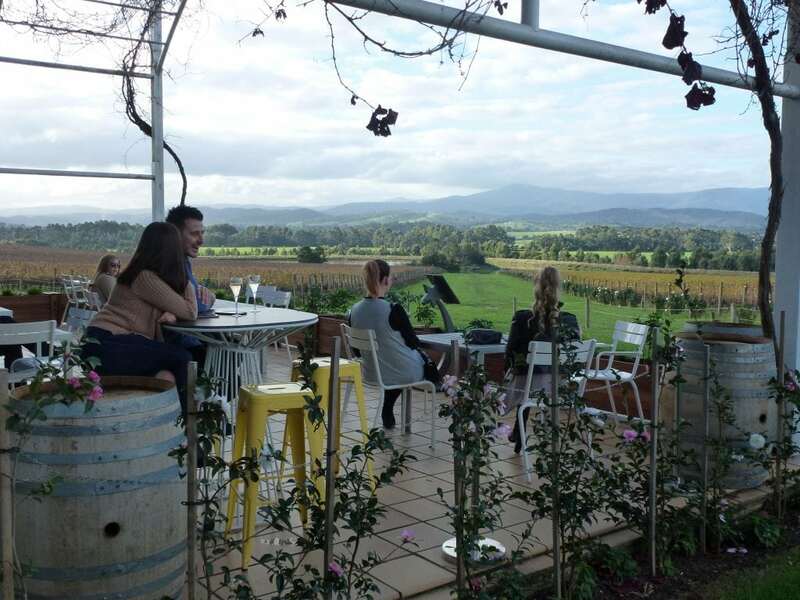 This route gives travellers a more relaxed introduction to the Yarra Valley than alternative routes that take you through Ringwood and Lilydale. Along the way, Tony points out some majestic houses as we travel through Wonga Park. The first one we experience is owned by Aaron Baddeley one of the top golfer’s in the world, the winner on the US and Australian PGA tours, quite a palatial home on the hill. Not far from here is John Farnham’s beautiful homestead that boasts breathtaking views of the surrounding countryside. 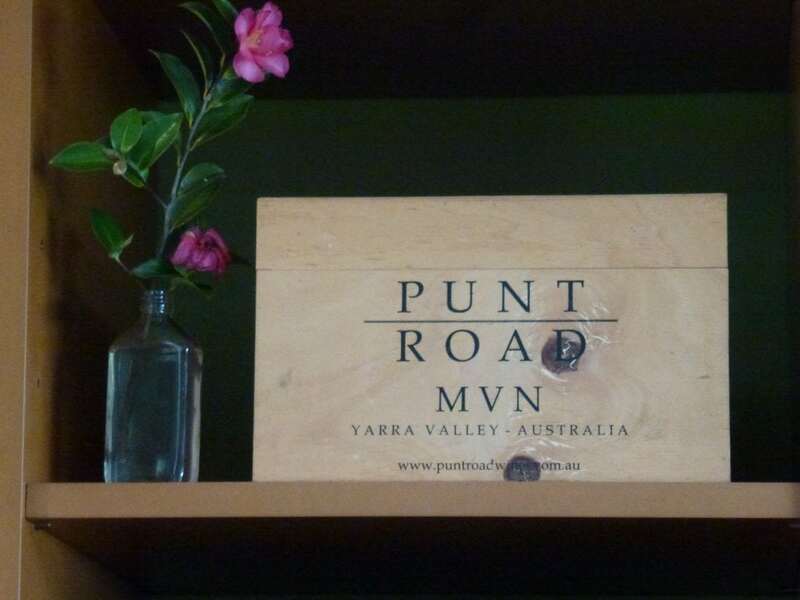 Our first winery stop was Punt Road. This boutique, 150-acre winery, has a rich history dating as far back as the 1920’s, when the area was initially used for farming, and a few vines were planted mainly for personal use. With the depression and World War II the wine industry collapsed and the land was returned to farming. Toward the 1960’s the winery started to make a comeback. On arrival, we’re offered a Pinot Gris for tasting, and Tony explains the importance of wine tasting and how you should take note of its colour, fragrance and of course, its taste. After this, we move onto the Chardonnay, Pinot Noir, Shiraz, Cabernet Sauvignon, and a fortified Semillon. After the tasting, we are offered a special tour 10% discount, which I take advantage of to purchase the Pinot Gris 2015 and the 2014 Cabernet Sauvignon. In addition to these wines, Punt Road also has an extensive orchard of pink lady apples, as they’re now one of the biggest distributors of apples to Australia’s major supermarkets. 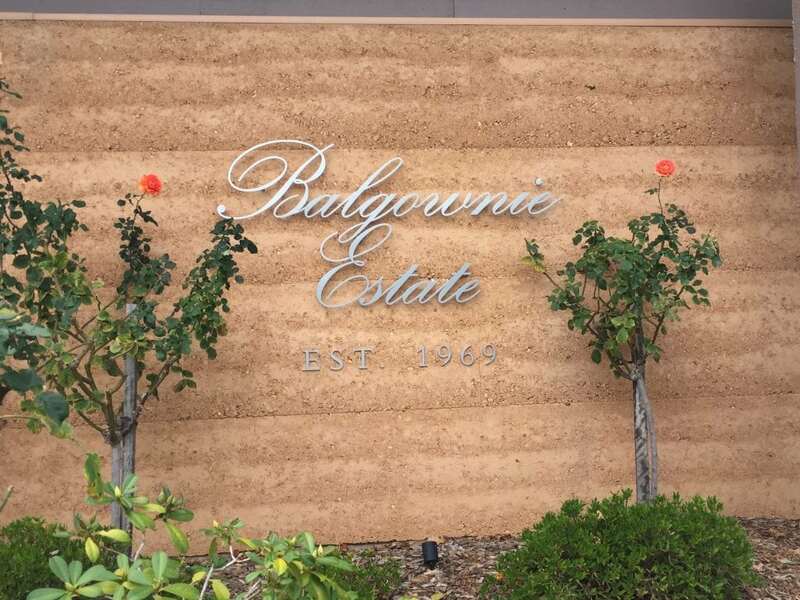 Balgownie Estate was first established in Bendigo in 1969. 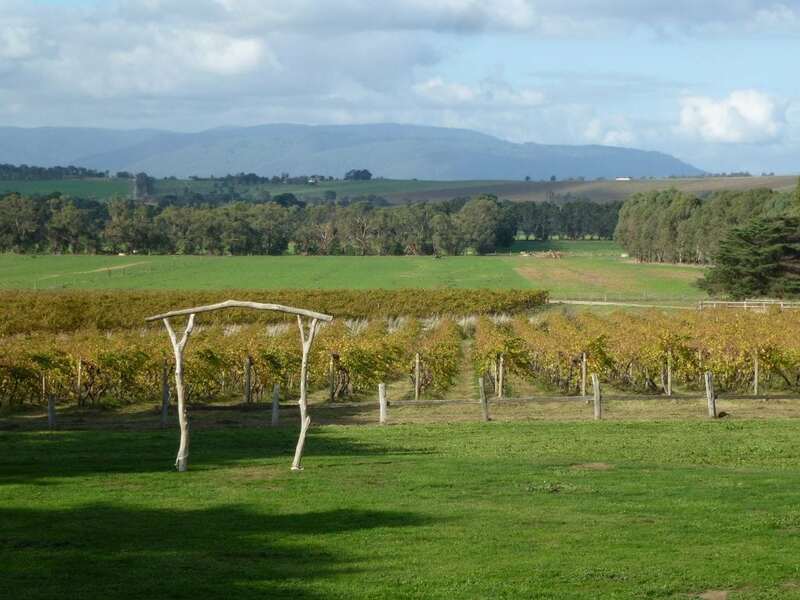 Balgownie Estate’s Yarra Valley vineyards weren’t purchased until 1999. By 2002, they had started planting Chardonnay and Pinot Gris vines, which are well-suited to the Yarra Valley’s cool-climate. Today, the winery has a cellar door, restaurant, conference centre and 69 one bedroom spa suites, in addition to a lavish day spa. On arrival, John, our guide and host at Balgownie Estate, meets us. John provides an entertaining wine tasting session whilst we enjoy a bit of interstate rivalry over whether South Australia or Victoria was the first produce the sparkling red. It was agreed to disagree on the discussion, which leads into our first tasting of the Balgownie Estate Sparkling Shiraz, an exceptional start to our experience. After this, we were then invited to experience two whites and two red wines before we are lead to lunch. 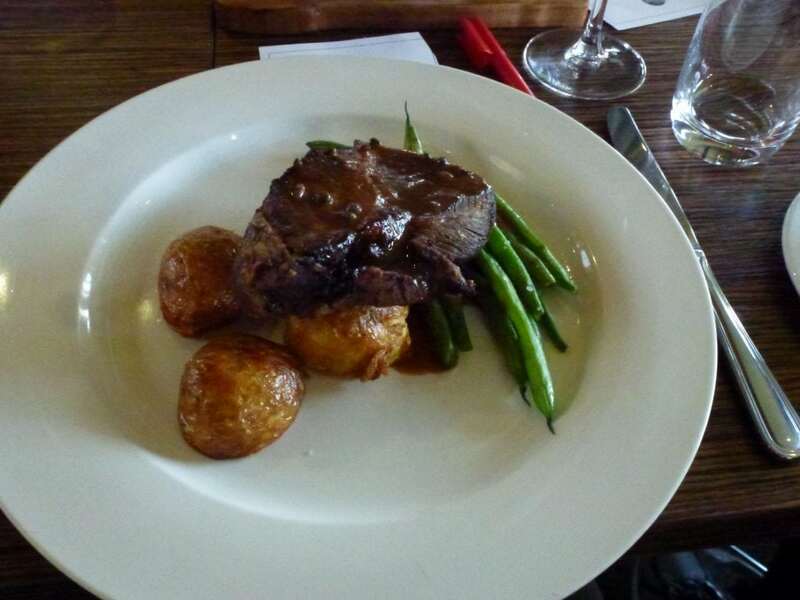 Tony provides us with a menu prior to our arrival at Balgownie Estate, which covers all types of dietary requirements and saves time choosing at the venue. The restaurant hosts the perfect atmosphere for all to enjoy each other’s company along with good food and wine. This rustic, boutique winery is the smallest winery in the Yarra Valley, but what it lacks in size, it makes up for in charm and good old-fashioned service. Yering Farm only produces 7,000 cases of wine per year, so they don’t distribute to major retail outlets. However, they do distribute to select restaurants. Run Rabbit Run Sauvignon Blanc Chardonnay, Duck Down Under Rose Pinot Noir and their The Foxtrot Cabernet Shiraz are some the selections of wines that are presented to us for tasting. There is also a crisp and refreshing apple cider, which is great for those lazy afternoons when one just wants to relax. The cider has a slight pink tinge because it’s made from crisp Pink Lady apples. Domaine Chandon was established by French Champagne house Moet & Chandon back in 1986. After a brief talk from Tony our guide, we learn more about the process of making sparkling wine. The tour is very interesting and comes complete with great user-friendly graphic displays. Visitors to Chandon Winery can do a self-guided tour, which is open daily from 10.30am to 4.30pm. We make our way upstairs from the cellars to the tasting room where we meet Shane, who presents four types of sparkling produced at Chandon. 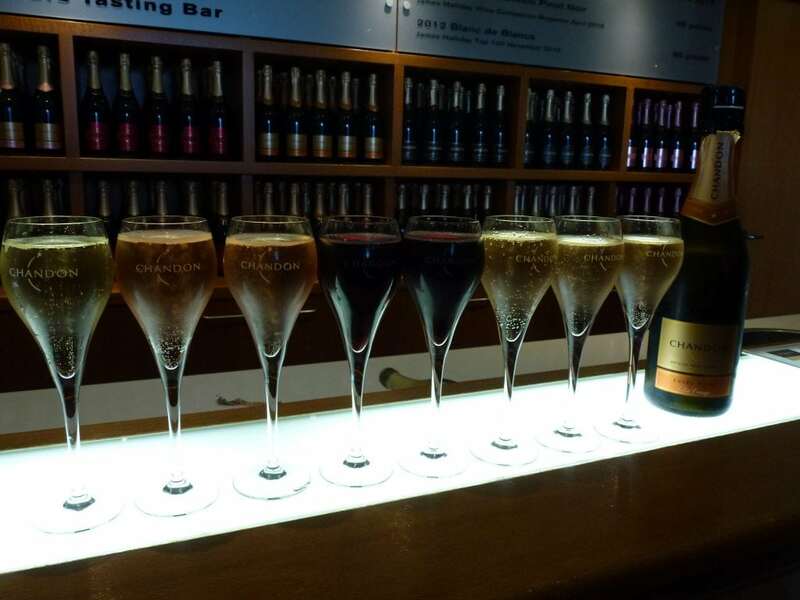 We are given a choice of enjoying a full glass of sparkling wine at this magnificent winery, with options such as the Chandon Brut Rose, Vintage Brut 2012, Cuvee Riche and a sparkling Shiraz. After choosing the sparkling Shiraz I take a seat outside to relax and take in the beautiful countryside whilst thinking about how lucky we are to have something so beautiful so close to Melbourne. If you are really into your wines, this is a fantastic tour to do. The Australian Wine Tour Co guides have so much information on the wine process and so many interesting facts. Best of all, you get loads of opportunities to taste the wines without the stress of having to drive back to Melbourne. After finishing our bubbles, its time to leave this beautiful and relaxing place. We return via the scenic Yarra Hills to the city. Time passes quickly as I doze off and soon realise we are back in the city just after 4.30pm. If you want to experience this tour for yourself, contact the team at Australian Wine Tour Co today!